Marsha Gentner is a Senior Counsel in Dykema’s Intellectual Property Group. Ms. Gentner focuses her practice on the management of global trademark portfolios. In addition to filing and maintaining an extensive docket of registrations throughout the world, Ms. Gentner supervises enforcement actions, including proceedings before local trademark authorities, customs and court seizures, and civil and criminal counterfeit actions around the globe. She handles transactional and licensing negotiations and disputes with manufacturers, suppliers, and international distribution networks, as well as due diligence. Ms. Gentner has more than 30 years of experience prosecuting and litigating trademark and other intellectual property matters before the U.S. Patent and Trademark Office, U.S. district courts and courts of appeal. 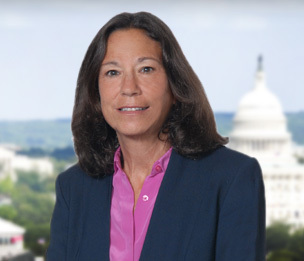 Cited as one of the “top” filers of inter partes proceedings (oppositions and cancellations) with the Trademark Trial and Appeal Board of the U.S. Patent and Trademark Office, Ms. Gentner’s long experience and trademark expertise enables her to navigate complex registration issues, as well as the rules, practices and procedures of the PTO and TTAB. Ms. Gentner also is a mediator serving on the International Trademark Association’s select Trademark Mediators Network. In addition to her trademark practice, Ms. Gentner handles all manner of Internet and domain name controversies and proceedings, including UDRP proceedings, copyright “take down” notices, domain name transfers, social media and internet registrar complaint procedures. Her practice includes copyright registration and enforcement, with particular emphasis on software and online content. Prior to joining Dykema, Ms. Gentner was a member of a boutique Intellectual Property firm in Washington, D.C.
Remixing is part and parcel of life in the internet age but do they infringe copyright? "The 'Elephant in the Room' in the Supreme Court's Recent Hearing on the Jury's Role in Trademark Infringement Cases"